U.S. stocks rose Friday on optimism that officials in Cyprus will reach a deal this weekend to rescue the nation's troubled banks. The Dow Jones industrial average gained 90 points, or 0.6%. The S&P 500 and the Nasdaq both gained 0.7%. The Dow is back above 14,500 and the S&P 500 is once again less than 1% away from the record high it set in October 2007. Despite Friday's advance, the major gauges all ended the week down a little less than 0.5%. All three indexes are up between 7% and 11% so far in 2013. Officials in Cyprus could make decisions on "the hard dilemmas" facing the country later Friday, according to a government spokesman. "This is being interpreted as a step towards a solution," said Frank Davis, director of sales and trading at LEK Securities. "We don't know what that solution will be, but there seems to be something in the works." Cyprus is facing a Monday deadline to come up with €5.8 billion in order to secure a €10 billion bailout from the European Union and International Monetary Fund. Talks between Russian officials and the Cypriot government broke up early Friday, with no agreement on a cash infusion that could help the island nation skirt a default. Nearly a third of the money in Cyprus' outsized banking sector is from Russian depositors. While a default is potentially disastrous for Cyprus, it wouldn't necessarily destabilize the European economy on its own. But investors are watching to see how the situation is resolved and if it could set a precedent for larger economies that may face similarly dire straits in the future. "One must be impressed with how well the markets have absorbed the still unresolved Cyprus situation," wrote Brown Brothers Harriman strategist Marc Chandler in a client note. 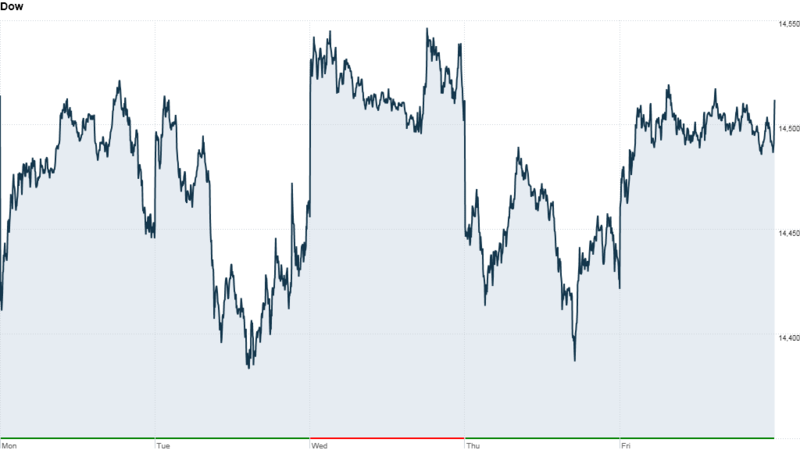 In corporate news, shares of Micron Technology (MU) spiked higher after the company's earnings blew past estimates, sparking a slew of analyst upgrades. Shares of BP (BP) rose after the oil giant said it was moving ahead with plans to buy back up to $8 billion of stock after completing the sale of its 50% stake in TNK-BP to Rosneft. Nike soars - It's gotta be the shoes! 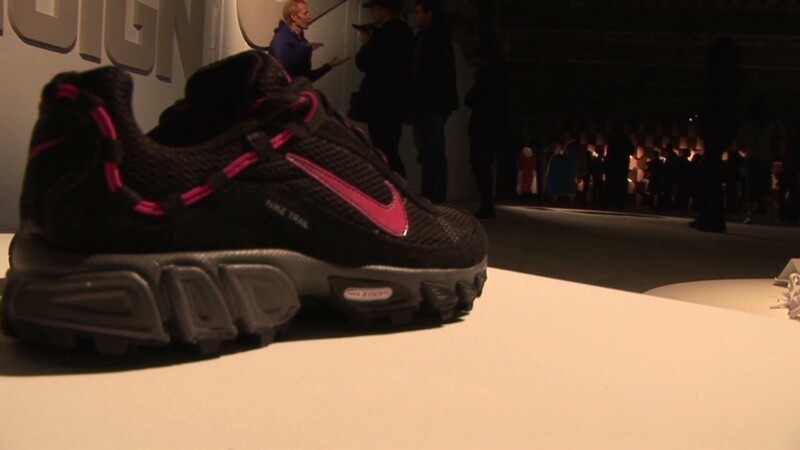 Nike (NKE) shares surged after the apparel giant reported quarterly earnings on Thursday that beat expectations. Tiffany's (TIF) stock jumped after the jewelry retailer reported a jump in quarterly profit. Shares of BlackBerry (BBRY) fell nearly 8%, revering gains from earlier in the week. The company's new Z10 smartphone, which has received mixed reviews, went on sale at AT&T (T) stores in the United States Friday. In the commodities market, oil prices edged higher while gold prices were little changed. The U.S. dollar fell versus the euro, British pound and Japanese yen. The yield on the 10-year Treasury note edged up to 1.93%. European markets ended mixed. London's FTSE 100 edged higher, while the DAX in Germany and France's CAC 40 both edged lower. The Ifo Business Climate Index for German manufacturing and trade slipped in March, as companies lost enthusiasm about their business outlook. But the index also showed that Europe's strongest economy continues to prevail, buoyed by domestic spending. Construction is at its strongest point since reunification of East and West Germany, more than 20 years ago. Asian markets ended mixed. The Shanghai Composite added 0.2%, while the Hang Seng lost 0.5% and the Nikkei declined 2.4%.